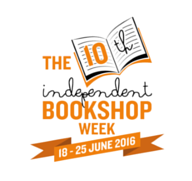 Would you believe that this week has actually seen the 10th annual celebration for independent booksellers in the UK? How wonderful is that?! With an array of author events, poet tours and book awards happening within the 400 independent booksellers taking part across the UK this week, there has been something for everyone. Now I’m sure that I don’t need to tell you that independent bookshops are hugely important. Not only because they are another place for readers to source their much-loved books, but they also help in building a sense of community within the town or city that they are situated. 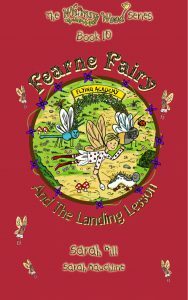 They are able to form connections with local schools, libraries, businesses and authors, that the large, high-street, chain bookstores are unable to do. This is turn provides a much richer experience for the book buyer. 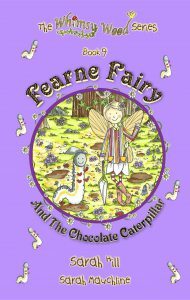 In the world of ‘Whimsy Wood’, I’m rather excited to tell you that we’ll be running a competition to win signed copies of ‘Fearne Fairy And The Chocolate Caterpillar’, my 9th Whimsy Wood children’s book! This book will officially be launched on July the 2nd and the competition will run from this coming Saturday (June the 25th), until the launch date. Well, that’s all from me for this week!